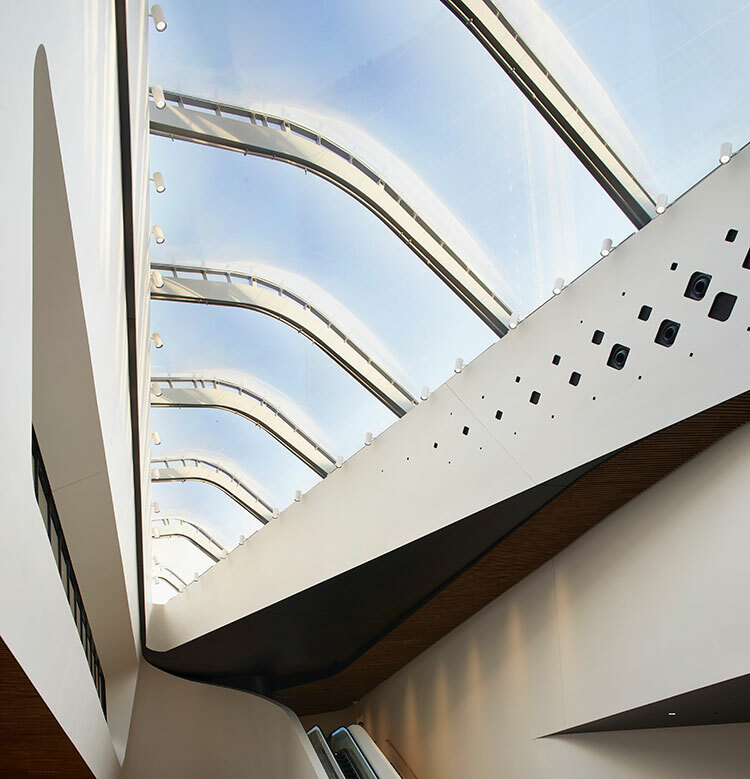 Located above Tre Torri station on the M5 line of Milan’s Metro network, CityLife Shopping District integrates a new public park with indoor and outdoor piazzas, food hall, restaurants, cafes, shops and cinema as well as facilities for health and wellbeing. 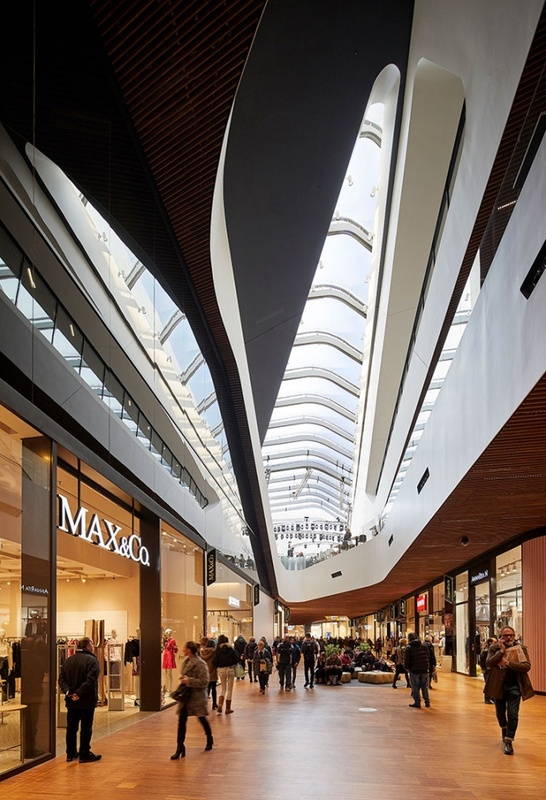 Now in its first week of opening, the 32,000m² shopping district will welcome seven million visitors each year when the CityLife redevelopment fully completes in 2020. CityLife is one of Europe’s largest redevelopment projects and will include 1,000 new homes, offices for almost 10,000 staff, the new 42-acre park, piazzas and kindergarten. 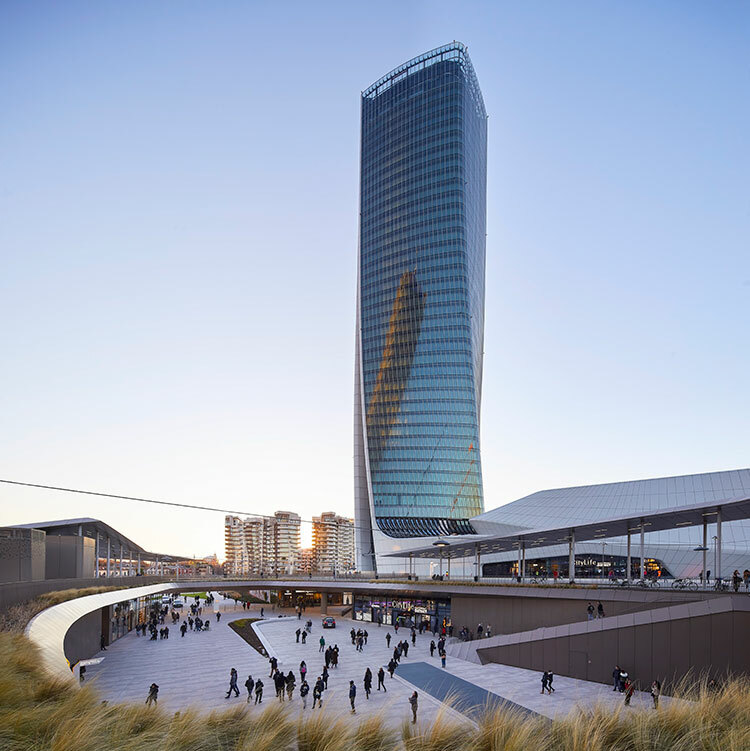 Defined by the three axes of the city that converge within CityLife, the shopping district’s composition continues the geometries of the connecting 44-storey Generali Tower that will be occupied in 2018 by the insurer’s 3,000 staff based in Milan. These formal geometries are aligned with the city’s axes at street level, but twist incrementally as the tower rises, orientating its higher floors to face the Duomo, Milan’s renowned cathedral at the centre of the city. Bamboo flooring, ceiling and columns welcome visitors to the shopping district’s interior. Selected for its warmth and tactility, engineered bamboo is extremely durable and can be procured in a large quantity from sustainable sources. 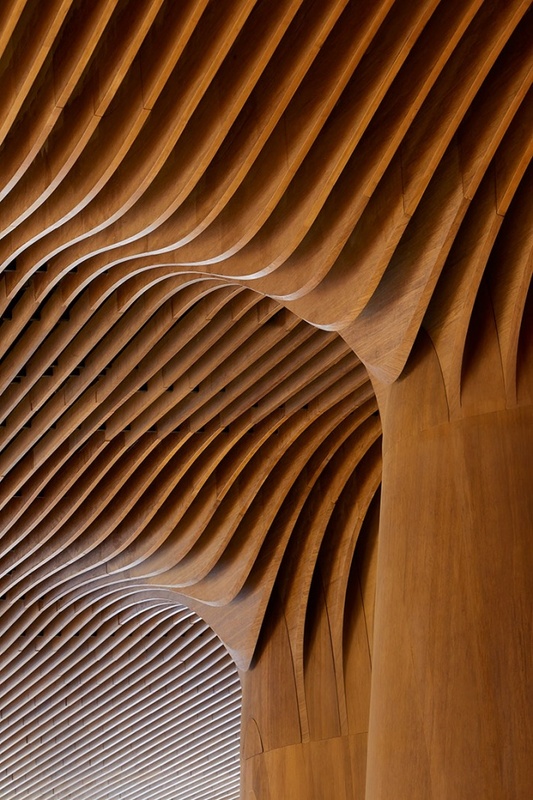 The solidity of the bamboo floor and columns meets the louvered bamboo ceiling at the capitals of each column, expressing a unity between the solid and porous surfaces. 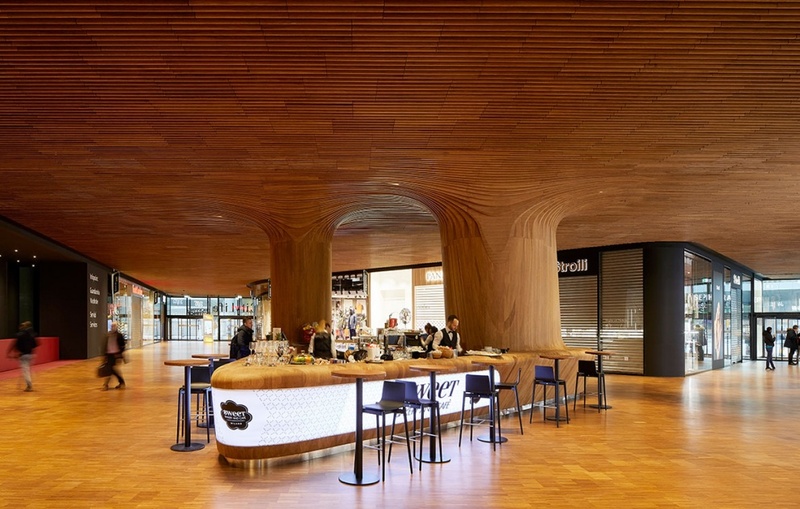 Two sculptural bamboo café counters follow this fluid design language. Assembled with resins under high pressure, engineered bamboo blocks were carved by 5-axis CNC milling and hand-finished to create the shopping district’s interior columns, capitals and counters. 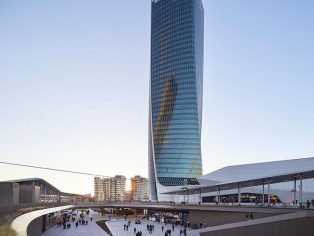 The 90-acre CityLife redevelopment opens Milan’s old trade fair grounds to year-round civic use and integrates the new public park with Milan’s most extensive pedestrian zone, creating the largest new public space in the city in more than 120 years. Designed and constructed to reduce energy consumption and emissions, the projects within CityLife have received LEED Gold certification from the US Green Building Council (USGBC).